A government agreement was reached yesterday between the Independence Party ("Sjálfstæðisflokkurinn") , Restoration ("Viðreisn") and Bright Future ("Björt framtíð"). Today, ministers in the new government will be appointed and the only given is that Independence Party leader Bjarni Benediktsson will become Prime Minister. Last week Benediktsson, who was implicated in the Panama Papers, faced criticism on how he dealt with a report on the names of Icelanders with off shore accounts. Benediktsson stated to reporters that he had not seen the report until the Parliament was dissolved before the elections, statements that were revealed to be untrue as the Ministry of Finance actually received the report one month earlier. Benediktsson made an apology about his "inaccurate timeline" adding that he doubted that the report would have had an influence on the election results. This has been harshly criticized by Iceland's Pirate Party and the Left Green Movement. All previous coalition talks between various parties since the general elections, held on October 29th, broke down. 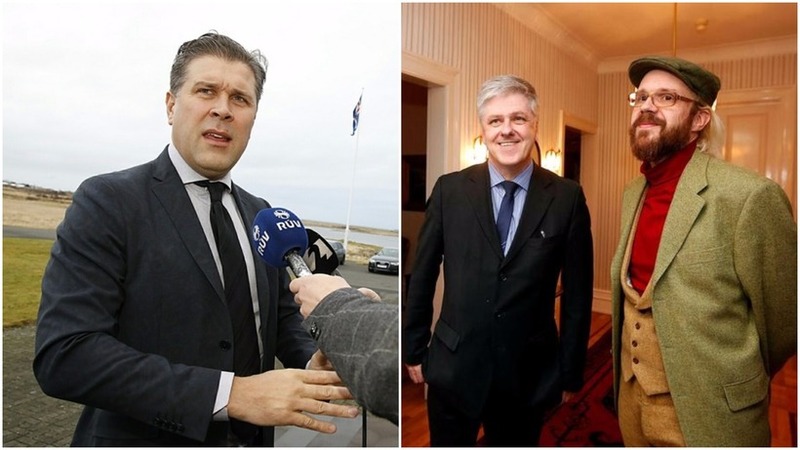 Today's edition of Morgunblaðið reports that the Independence Party will be heading the following ministries: Prime Ministry, Ministry for the Interior, Ministry of Education and Culture, Ministry for Foreign Affairs and a minister for industry and business at the The Ministry of Industries and Innovation. It is furthermore believed that Benedikt Jóhannesson, leader of the Restoration Party will become Minister of Finance and that Óttar Proppé, leader of Bright Future will become Minister of Education, with Bright Future MP Björt Ólafsdóttir becoming Minister for the Environment.